Liz Engelhart, an associate broker with Advantage Realty Professionals has been a happy resident of the beautiful White Mountains of Arizona since 1996 and is a full time active real estate agent successfully representing buyers and sellers since 2005. Liz's experience of the area and relationships with trusted area professionals will be found useful to you as you move through the process of the sale/purchase of your home. Liz's straightforward approach and commitment to sincere and consistent communication through the process of your real estate transaction will give you the confidence you need knowing your transaction is being handled professionally and efficiently. 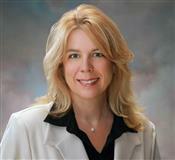 Count on Liz for all your real estate needs- whether buying or selling your home!